The ultimate make-up truth: color-correcting can go a long way in helping your concealer do its job right! Whether you are a fan of Instagram-based beauty gurus, industry-leading makeup artists, or high street magazines with their beauty tips… the chances are that you have already seen a tutorial on color correction. It is a beauty industry buzzword that has recently resurfaced, but the fact is that bonafide makeup artists have always understood the color theory that stands behind color correction. Professional makeup artists have studied and applied this unique concealer technique for ages. But recently it went viral on social media thanks to YouTube influencers like Carli Bybel and this stunning tutorial of hers. The idea of color correction is based on the color wheel. Colors that are opposite one another cancel out each other, making it possible to conceal the worst possible discolorations on a face. So green concealer is used to cancel out red zits and angry pimples. Purple concealer helps hide yellow spots while the orange concealer can adequately take care of darkest of dark circles. Use an appropriate hue to cover the problematic areas on your face, then lightly pat foundation over the entire face with a beauty blender. When covering the under-eye area, put your regular concealer over the color corrector. Again, gently pat it in place with a beauty blender, and then tap the foundation down light-handedly. Apply this theory, and you can achieve the perfect complexion you’ve always wanted. Are You Ready to Achieve The ‘I Woke Up Like This’ Look? It is impossible for us mere mortals to wake up flawless like Beyoncé. But with the right tools and color correctors, it is possible to fake that look on the regular. When color correcting, it’s a good idea to look at yourself in natural light, so you know precisely where your skin needs help. Also, apply a small amount of the correctors, because there have been cases where the colors were visible through the foundation. This happens if you use a light coverage foundation or one in the wrong shade. Also, it is important to remember that color correctors shouldn’t be used to hide tattoos or major bruises. These are good for hiding shadows on your fact and neutralize your complexion only. So, apply them with a light hand, using gentle patting motions. Use your clean fingertips to blend these colors into your complexion. Next, make sure you are using the right color too. The palest shades of purple, pink, yellow and green are for light-skinned beauties. Darker,i.e., medium to the olive skin can color correct with shades that are a touch deeper than the pastels. For dark skin, the color correctors go even deeper, so where a pale person would use pink to correct under-eye area, a dark-skinned person would use a peachy orange; and the same rule applies to the purples, yellows, and greens. Before we run down the list of the best color correcting makeup on the market, we’d like to remind you that makeup should be used to enhance your skin and not hide it completely. Color correction isn’t always a necessity, but it is just a fun extra step in your makeup routine. Let your natural face shone brightly once in a while. If you are dealing with several skin issues, and don’t want to spend time and effort dolloping out different concealers, this is the product you need. The packaging contains a triple-helix of skin-nourishing serum and three color-correcting pigments in lavender, green and peach. A pump-full is enough to cover the entire face and leave you with instantly brighter and moisturized skin that is ready for foundation. The serum is a bio-available Mineral Complex that hydrates the skin and hides pores and fine lines. So it is a one-step product that does so much more than ‘correct.’ We love it because it’s great for those lazy weekday mornings when we couldn’t be bothered with ten different products. This is a primer, moisturizer, and color-corrector in one, and for $36 that’s a great deal. 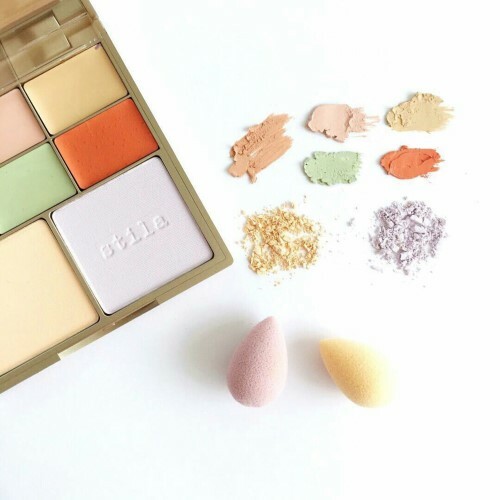 This nifty little palette brings you four shades of color correctors so you can deal with any skin emergency. It is an industry favorite, and many makeup artists swear by the quality of the products. 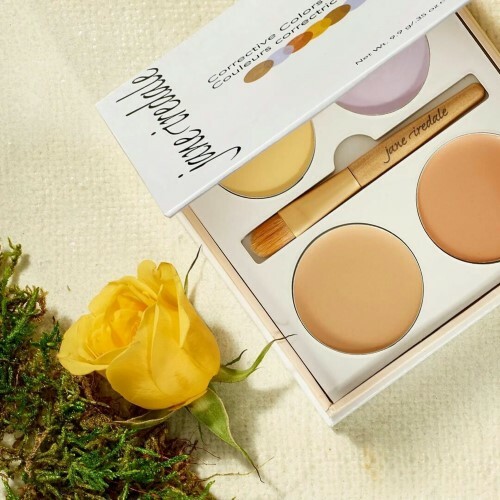 The palette contains color correctors in yellow to counter redness, peach to deal with blue or purple bruising, lilac to combat an overly yellow discoloration and beige to deal with hyperpigmentation. Smashbox’s range of primers is legendary. And now they have come out with a variety that offers color correcting capabilities as well. The BLEND version is apricot-toned. This peachy primer evens out the complexion and helps hide discoloration while making it easier to blend the foundation up top. 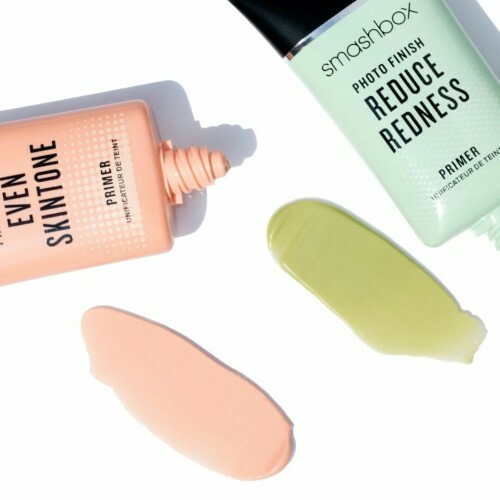 Other versions of the color correcting primer include green corrector as well. The formula is lightweight and smooth to touch, just what we’ve come to expect from Smashbox primers. It has vitamins A and E as well as a range of antioxidants that make the skin visibly softer and younger with regular usage. This product is excellent for people who don’t need extensive coverage, but they would rather have precision and lightweight coverage. The blendable pencil delivers all that and a lot more. 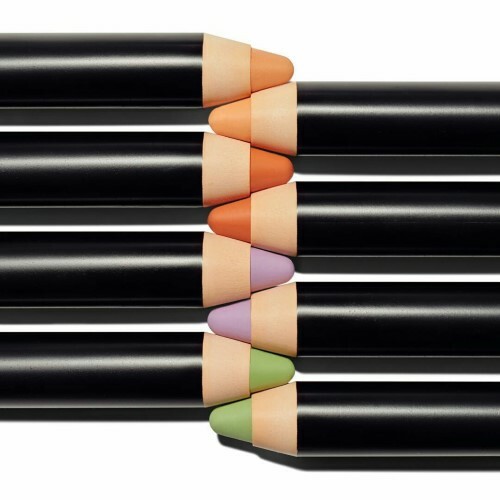 The ‘Less Tired’ pencil is a peach corrector but, this product is also available in green, lavender as well as orange, making it perfect for spot concealing of any kind. 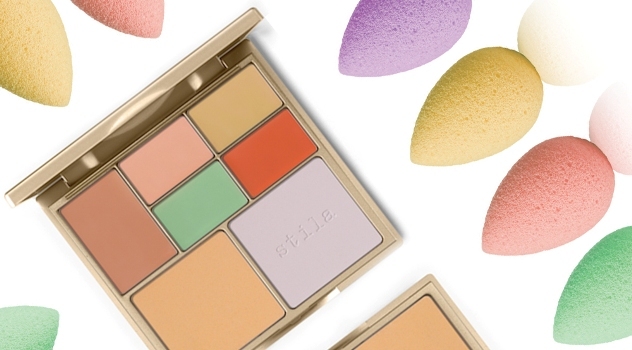 Stila has seriously upped their color correction game with this all-in-one palette. If you want an all-inclusive, definitive tool to help you deal with redness, dullness, uneven skin tone, dark circles, bruising and discoloration, this should help! You get five cream correctors in peach, pink, yellow, orange and green. The shades suit fair and medium skin tones. These creams are velvety smooth, easy to apply and even easier to blend. 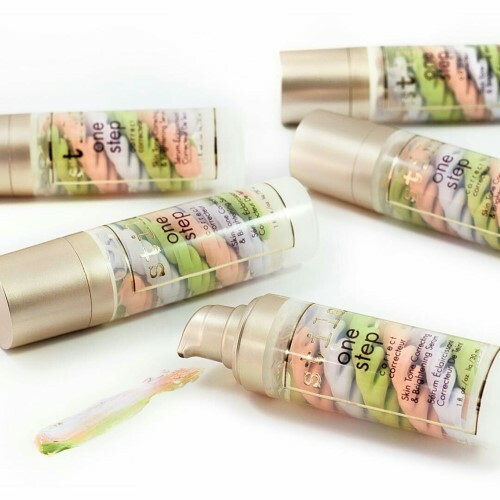 Stila’s proprietary bio-available Mineral Complex is present in these, along with vitamins C, E, and A. so these color correctors won’t just hide the imperfections, but also help heal them while soothing and moisturizing your skin. You also get two colored settings powders in yellow and lavender. Use the yellow on any cream corrector to set it, and even out the skin toe. The lavender one can be used to place the pink correcting cream or used overall to brighten sallow skin. This is an awesome palette if you want customized coverage! If you want a no-fuss color correction and want superior coverage for normal to oily skin, Dermablend has just what you need. The powder pigment in yellow helps neutralize purple veins as well as grey discolored skin. The formula turns into cream upon skin contact, making it easier to apply. It offers 16 hours of fantastic wear and blends in no time. The optical diffusers blur out skin imperfections, improving the look of the skin, and hiding imperfections for the long haul. 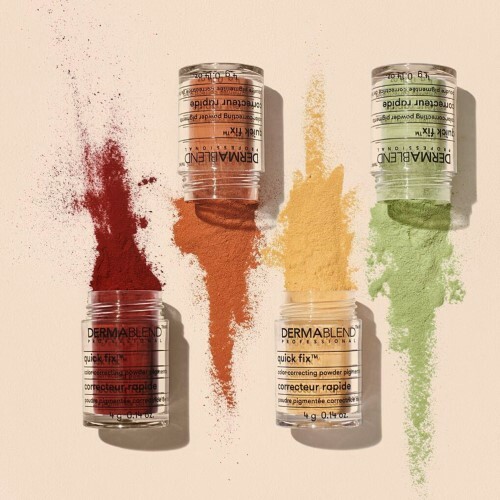 But if you need something other than yellow, this color-correcting pigment is also available in green, orange and red. The colors are universal and can be used on any skin type. But what we love the most about this product is that it stays put under foundation and makeup!